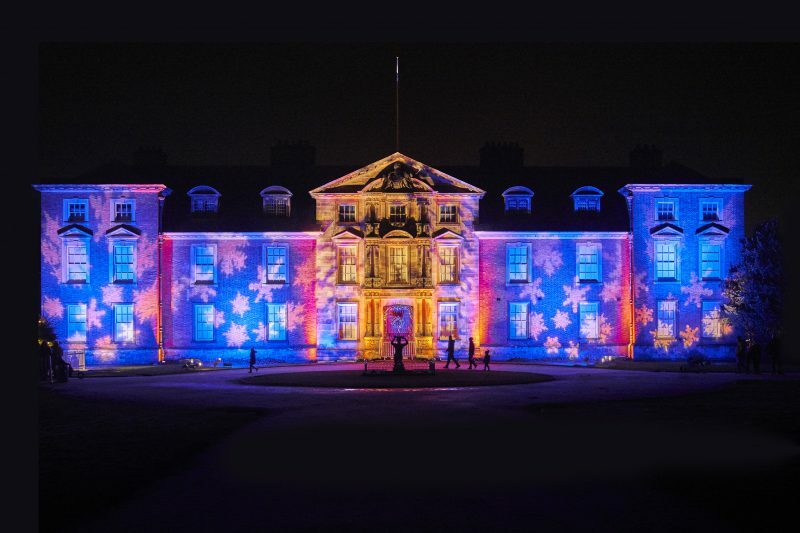 Dunham Massey’s biggest and brightest Christmas event returns for a second year with plenty more surprises (running from 30 November to 30 December 2018). It’s the most wonderful time of the year as the tree-tops glisten and the formal gardens and deer park of Dunham Massey shimmer and sparkle. We chat to the team behind all the magic to find out what to expect! We already know that in 2018 there’s a brand-new trail – what makes it new? 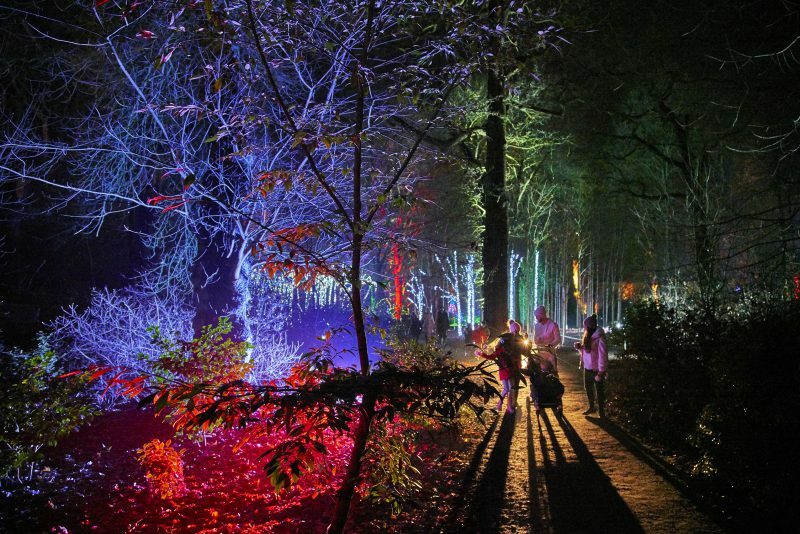 As with every trail every year we create a mixture of new content and old favourites – the deer and reindeer will continue to feature highly within the trail as this is what makes the trail so special to Dunham Massey 2018 will see lasers and bubbles, tunnels of light and a new water screen show! Is the Christmas trail just for children? Can adults enjoy it too? It’s absolutely for everyone – the trails are designed for an entire family group to come together and there will always be something for everyone. This year there will be a deer trail to help Father Christmas find his reindeer for children but also mistletoe moments, marshmallows and mulled wine for the adults. What makes Dunham Massey the perfect location? The landscape gives us a little bit of everything, close planting, vistas, architecture, tunnels, water and darkness, with virtually no light spill the impact of lighting in this space is fantastic. What exciting surprises should people look out for on the trail this year? 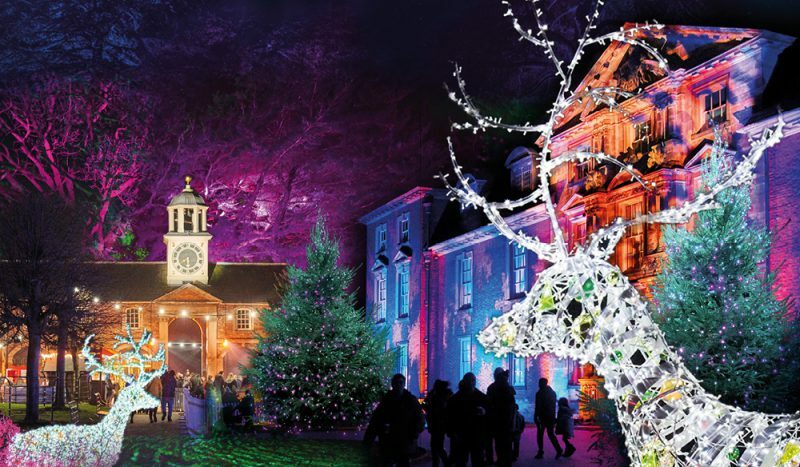 We have an all new Father Christmas show, lasers and bubbles to chase, deer to find and wishes to make, a new show on the lawn and topped off with an all new water screen show! It’s never too early to get excited about Christmas – do you agree? At our headquarters, as well as Culture Creative, its Christmas all year round, we work throughout the year to make our illuminated trails new and exciting and hope that all our visitors get excited too! What’s your personal favourite installation going into Dunham Massey and why? 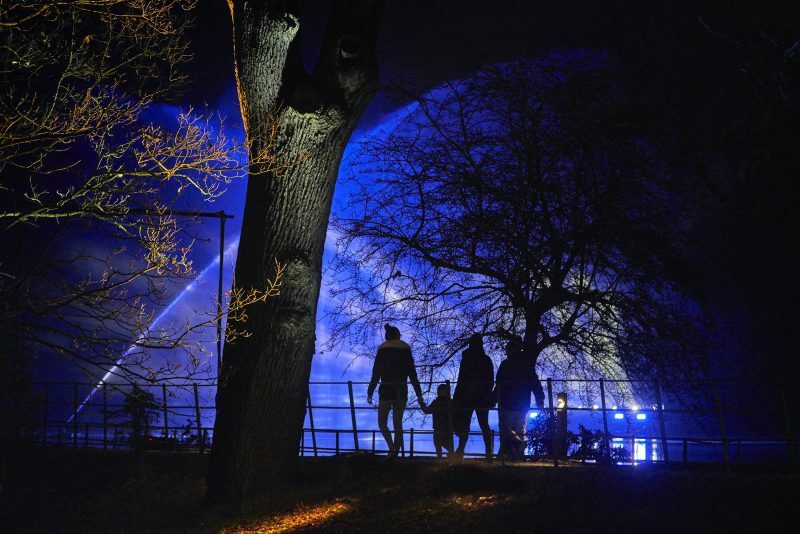 The show on the lawn is very special and for me is the essence of both Christmas and very clever use of music, lighting and landscape – it is very beautiful.